Makenna Webster (St. Louis, Mo.) 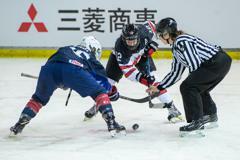 and Abbey Murphy (Evergreen Park, Ill.) scored and Skylar Vetter (Lakeville, Minn.) turned away 24 shots as the United States Under-18 Women's National Team fell to Canada, 3-2, in overtime of the gold-medal game at the 2019 IIHF Under-18 Women's World Championship here tonight at Obihiro Forest Ice Arena. "I’m really proud of how this team played all tournament long," said Maura Crowell (Mansfield, Mass. ), head coach of the 2019 U.S. Under-18 Women's National Team. "As a staff, we’re very pleased with the way they represented their country and although we fell short of our ultimate goal, this team played a fantastic tournament. I’m so proud of this group for what they accomplished and I know that all of them have a very bright future ahead of them." Team USA's (4-0-1-0/W-OTW-OTL-L) silver-medal finish continues its unprecedented 12-year medal streak in tournament play after winning gold in 2008-09, 2011 and 2015-18, along with silver in 2010 and 2012-14. Following the game, Hannah Bilka (Coppell, Texas), Katy Knoll (Amherst, N.Y.) and Vetter were tabbed Team USA's Top Three Players of the Tournament. Photos courtesy of Images on Ice. Canada got on the board first with a power-play goal after a tripping penalty on Team USA. 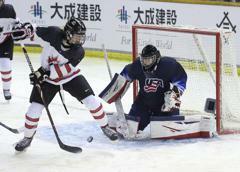 Vetter made the initial save before Danielle Serdachny jumped on the rebound to give Canada the 1-0 lead. The U.S. would get two power play opportunities of its own during the period and fired multiple quality shots on net, but could not capitalize as the opening stanza ended with Canada holding onto a 1-0 lead. Team USA outshot the Canadians 12-5 in the first period. Team USA was faced with adversity in the second period, after a cross checking penalty at the end of the first sent the U.S. to the penalty kill to open the second stanza. The U.S. squad killed off the penalty with some key saves from Vetter to keep the score at 1-0. The U.S. penalty kill would be called upon again in a crucial moment after two penalties sent Canada to a 5-on-3 power play for 56 seconds. 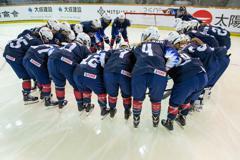 Team USA's special teams unit was up to the task once again as Vetter stood tall and the score remained 1-0. After a tripping penalty to assessed to Canada sent the U.S. to the power play, Webster buried a wrist shot to knot the game at one with 2:50 remaining in the second period. After Casey O'Brien (Milton, Mass.) won the faceoff, Murphy collected the puck along the boards and sent a pass to Maggie Nicholson (Minnetonka, Minn.) at the center point. Nicholson surveyed her options before sending a pass over to Haley Winn (Rochester, N.Y.). Winn found Webster at the top of the left circle, who stepped in and fired a wrist shot past Raygan Kirk for her third goal of the tournament. Webster's equalizer sent both teams to the locker room with the game knotted at one after two periods of play. 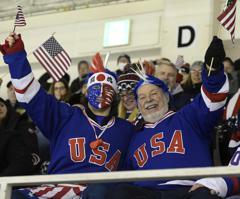 As the third period began, the U.S. attacked Canada from the drop of the puck. Murphy took a pass inside her own zone and burst up the left side of the ice before feed a pass to Webster. Webster entered the zone and held up at the left circle before finding Murphy streaking into the zone. The Evergreen Park, Ill. native fired a backhand that got behind Kirk to put the U.S. up by one. 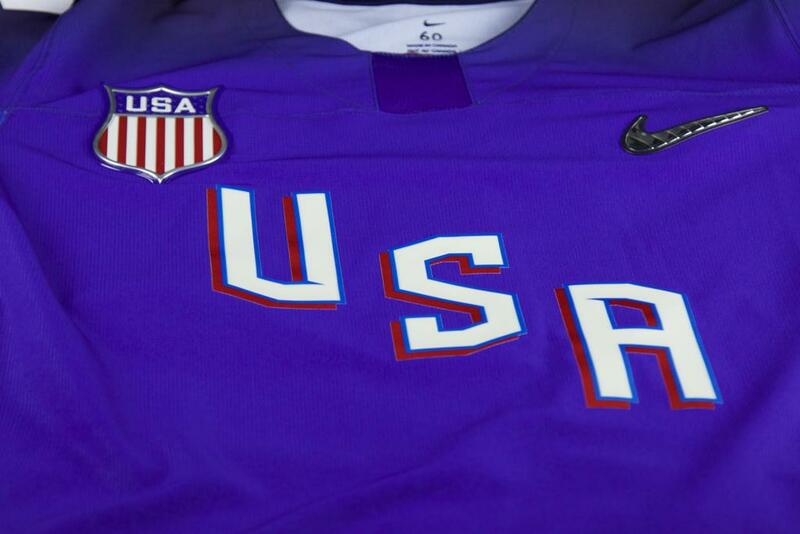 After successfully killing off another 5-on-3 power play for Canada, the U.S. was sent to the penalty kill once again. At the 11:11 mark, Canada converted on its power play opportunity to knot the game at two. 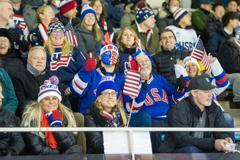 After a strong push by the U.S. to end the third period, the horn sounded and the game was sent to overtime. Team USA was assessed a holding penalty early in overtime and Canada was awarded with a 4-on-3 power play before scoring to claim the gold medal. NOTES: Webster was named U.S. Player of the Game ... Each team recorded 27 shots on goal in the contest. For complete game statistics, click here ... 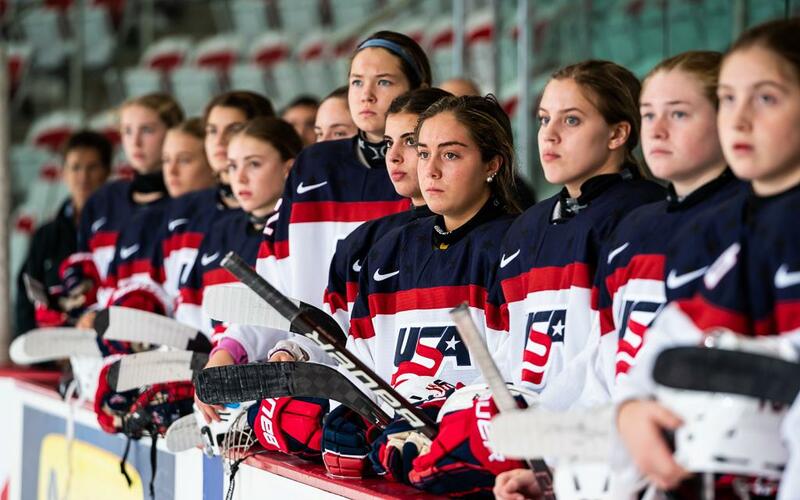 This year marks the 12th IIHF Under-18 Women's World Championship tournament. Team USA, the four-time reigning world champion, captured gold in each of the first two years of the tournament (2008, 2009) and again in 2011, 2015, 2016, 2017 and 2018. 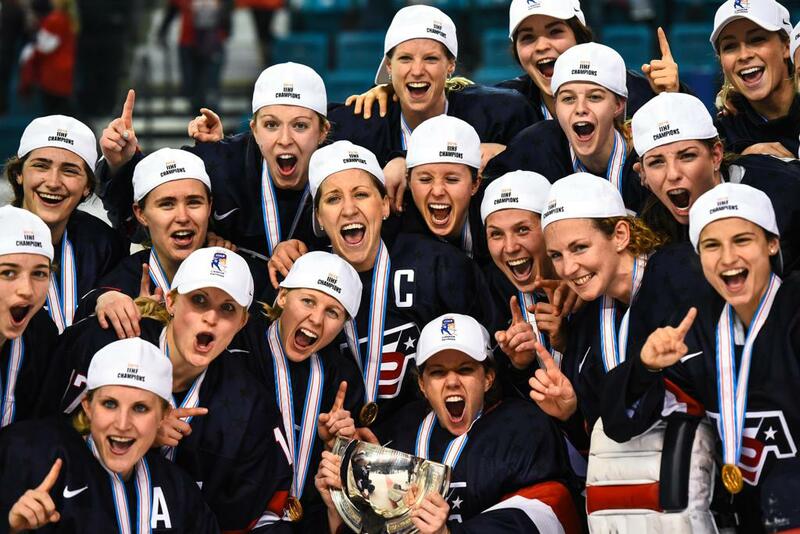 The team has taken home the silver medal in 2010, 2012, 2013, 2014 and 2019 ... Crowell was joined by assistant coaches Josh Sciba (Westland, Mich./Union College) and 2018 Olympic gold medalist Brianna Decker (Dousman, Wis.) ... For more information about the tournament, click here.